Springtime is beginning to emerge once again and with the change in seasons comes a change in what we can expect from our local area in the Lake District. The Lakes have something to offer at all times of the year and each season offers up a unique experience. Now that winter is beginning to recede, we thought we’d celebrate a few of the things that the spring has to offer in the Lake District! Daffodils are somewhat iconic in the Lake District, made famous by Wordsworth and abundant in the springtime. Find them along roadsides, on hills, and in gardens and take a moment to enjoy this emblem that spring is finally upon us! Once the daffodils have been and gone, there are still plenty of blooms to look forward to. There are many parts of the Lake District that burst out into a carpet of blue in the spring months and if you’d like to enjoy some of them for yourself, why not check out our post on the best bluebell walks in the Lake District for inspiration? There are few things more joyful than spotting lambs gambolling in the fields, and springtime brings with it lambing season, and thus, plenty of opportunities to witness this magical sight. If you are a dog owner, please be careful to keep your dogs under control if you are walking near any livestock, as protecting pregnant ewes and new-born lambs is difficult if they are stressed out by dogs who are off their leads. In the springtime, you’ll get what are arguably some of the best views you’ll see all year. Once the leaves start to grow back after their wintry purge, some of the views become more obscured, but in the spring you’ll still have all the benefits of being able to take in the stunning vistas, coupled with the fresh spring colours and flowers that breathe that little bit of life back into the world! Wildlife lovers will greatly enjoy the abundance of wildlife in the spring months, with more and more birds and creatures visiting us. And it isn’t just new-born lambs that will send you into cuteness overload, you will be able to spot lots of baby animals if you keep your eyes peeled! What’s more, those animals who enjoy a long winter slumber will be beginning to wake up, and the birds will be busy building their nests! There’s always plenty to do in the Lake District and the springtime is no exception. There are plenty of fun country shows and festivals, such as the Keswick Film Festival, and there are also plenty of museums and fun days out in the local area! 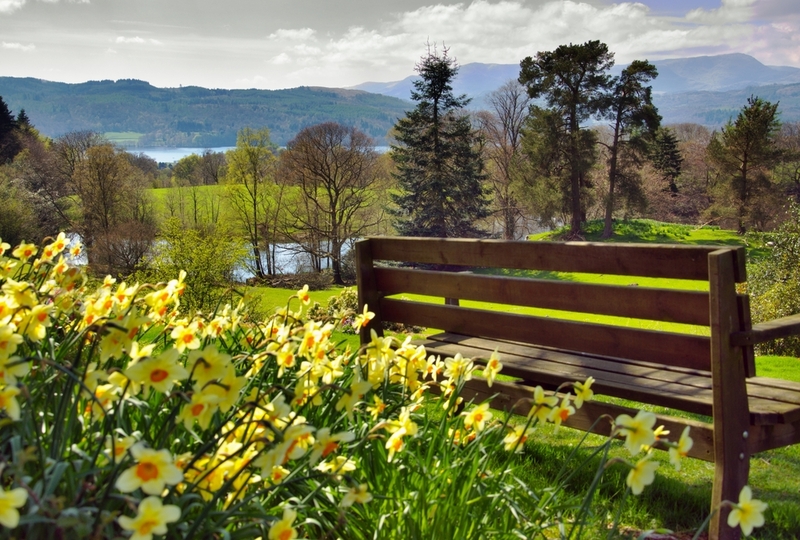 The lighter evenings also offer the perfect opportunity to enjoy some of the wonderful spring walks that the Lake District has to offer, so why not explore a new part of the area, or retrace your steps at a favourite spot in their spring colours. If you’d like to visit the Lake District yourself this spring, why not check our availability at our Lake District holiday parks? You can get in touch if you have any questions and a member of our team will be happy to help.